So it's the big dirty thirty year for SJ and I and most of our friends. We didn't make a big deal out of our 29th birthdays (no real presents and we bought a house the day before his!) 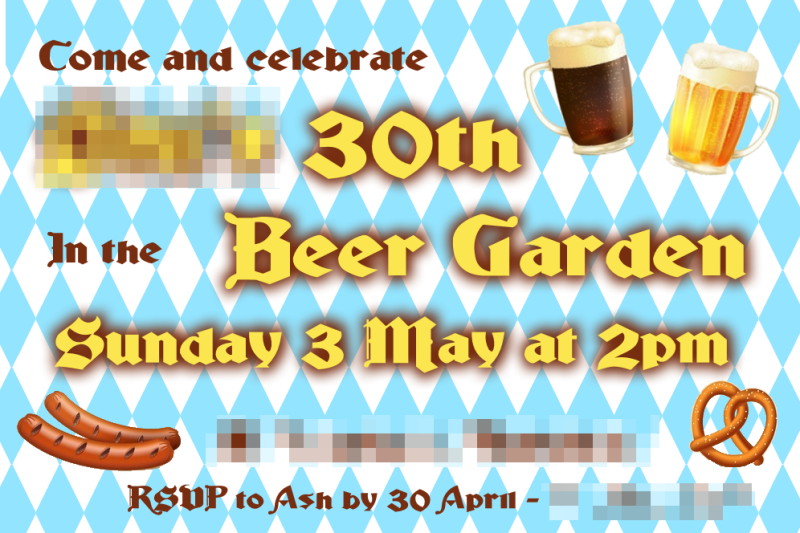 and given we are likely to have kids before our 40th birthdays I figured it would be the last chance for a proper party. We didn't make the decision to have a party until 3 weeks beforehand though, so once the decision was made I had to act FAST. SJ has a big family and a large mixed circle of friends, rather than have a super crowd at our house, I cleverly decided to host two parties rather than one to make it less effort...Well as you may have guessed, I made it twice as hard on myself with two parties but they both turned out well and I've been sick ever since. 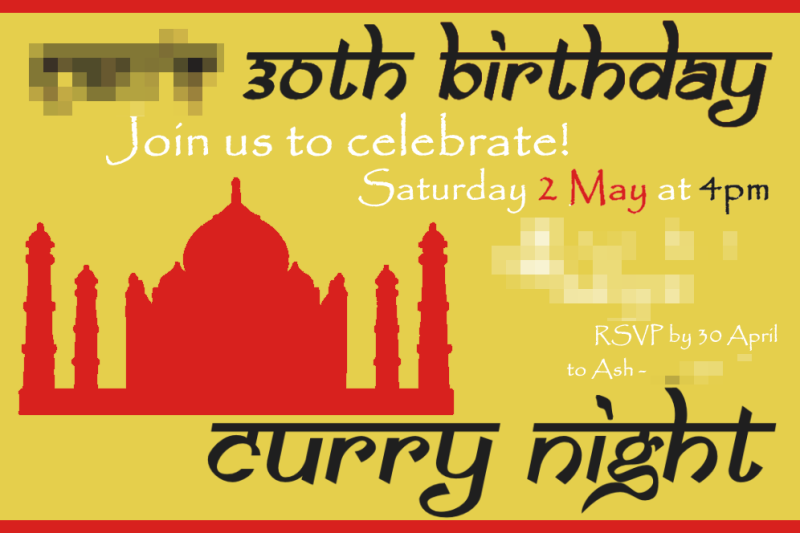 The invitation for the family party - Curry night! 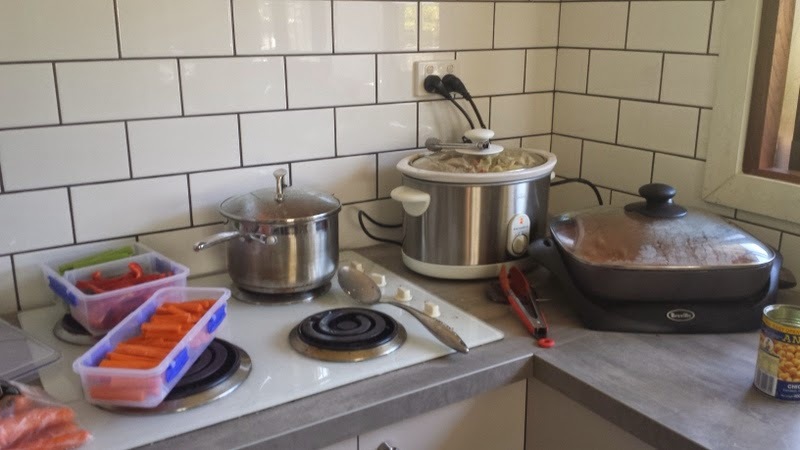 Some of my cooking in action - I cooked a beef massaman (it's in the fridge), veggie korma (on the stove), lamb korma (slow cooker) and butter chicken (frying pan). Given I don't usually cook, making these from scratch (including the pastes) was a big deal for me! And another pic with the Birthday Boy...did I mention I dressed up? It wasn't a costume party but seemed appropriate. So I turn 30 in 5 months time, I think SJ should start the planning now! Happy Birthday to SJ. Both parties look amazing, you did a fantastic job organising both of them.